One koala's waste could be another's salvation, as researchers from the Hawkesbury Institute of Environment (HIE) work on a koala inoculation made from the excrement of their cuddly counterparts. This article was written by Laura Albulario for the Western Sydney University GradLife Magazine. Download your copy of the Autumn 2017 edition (PDF, 3395.17 KB) (opens in a new window). Almost 40 per cent of koalas die when they're relocated and feed on unfamiliar eucalypt species, but inoculating them with faecal microbes from existing populations could provide the solution. "There's a lot of power in poo," says PhD student Kylie Brice. "When overpopulation events happen and we need to move koalas, we hope to take diet-specific microbes from koalas at the relocation site. From this, we can create individualised therapy to prepare koalas before they move, hopefully enabling them to cope with the diet change much faster." Koalas are among less than one per cent of herbivores that specialise in eating only one plant species. Listed as vulnerable to extinction in NSW and Canberra, Koalas are overabundant in Victoria. Koalas feed mostly at night and largely rest during the day, moving from feeding trees to roosting trees. Faecal inoculation could also improve outcomes for koalas who require rehabilitation, whether from bushfire-related injuries or road accidents. "Carers try to match their diet as closely as possible, but koalas' gut microbiota does get disturbed when they go into care and can be very different by the time they're released," says Kylie, who completed her PhD in April. Eucalyptus, like other plants, contains chemical defences which can be toxic to animals when unfamiliar. "With other animals, gut microbiome have been found that enable the host to eat toxic plant chemicals," explains Kylie. There's research being done on the impact of gut microbes on diabetes, obesity, how it can influence behaviour and how it may be involved in Parkinson's and Alzheimer's. The development of a faecal inoculation is based on Kylie's initial discovery that koalas have differing gut microbiome depending on where they live and the eucalypt species they eat. This came from comparing the faecal samples of koalas living near the Blue Mountains, which feed on diverse eucalypt species, to others from Victoria which eat only one species. "They do share a minimal core microbiome, but a lot of it is unique which seems to be driven by diet, geographical and environmental factors," Kylie says. Along with lab-based analysis, this research involved lots of leg work, with researchers tracking koalas and collecting their eucalyptus-scented droppings fortnightly for seven months. "We had radio tracking collars on them, but they still aren't easy to find," Kylie says. "They don't poo on cue so we had to put out a mat and check it every 15 minutes. We'd put the samples on ice, take them back to the lab and extract the DNA." Research relating to gut microbiome has gained momentum in recent years, with wide-ranging implications for animals, humans and the environment. "There are faecal banks and people are having faecal transplants to help inflammation in the bowel if they are lacking certain bacteria in the gut," Kylie says. "There's research being done on the impact of gut microbes on diabetes, obesity, how it can influence behaviour and how it may be involved in Parkinson's and Alzheimer's." Work is also being done on introducing specific microbes to cattle to reduce their methane emissions. According to CSIRO research, cattle produce more than 12 million tonnes of carbon dioxide each year, contributing to a significant proportion of global greenhouse gas emissions. "The wallaby doesn't produce methane, so they're looking at how they can alter the gut microbiome of cows for a similar result," Kylie says. Koalas are a good model species for research in the gut microbiome area because of their eucalypt-specific diet and Kylie hopes her team's research will contribute to deeper knowledge in the field. "Less than one per cent of herbivorous mammals have dietary specialisation," Kylie says. "Our diets are so varied, but with koalas we're looking just one to 15 species of eucalypt in their diet and they already show big differences in their gut microbiota." 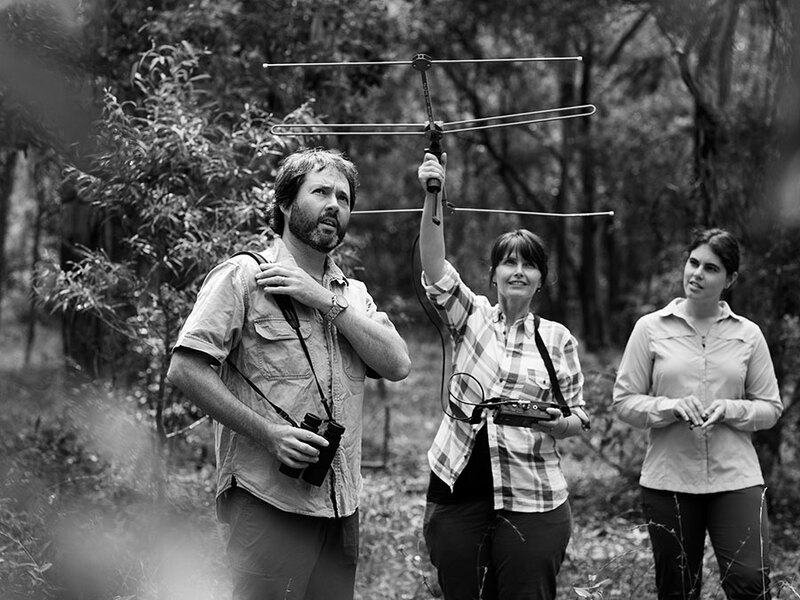 Read more about the Koalas' Gut Microbiome Research Project.